So you just love your old wooden fence. It’s been there for years, delineating the boundaries of your own personal kingdom from the rest of the world. But it’s weathered more than a few storms and its share of extreme weather, and it’s starting to show its age. You like that rustic look of course, whether it’s a homey looking split rail or a board privacy fence, but you wonder what you can do to ensure that your fence is there for you for many more years to come. Well, you’re in luck. 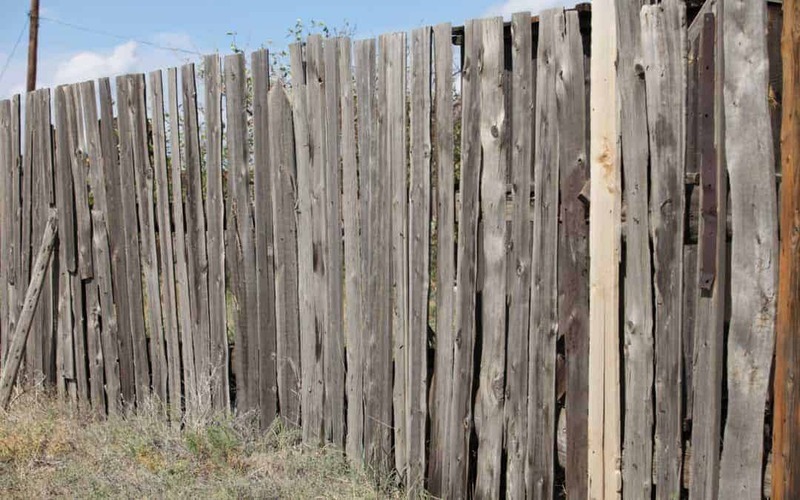 With a few simple and easy steps, you can extend the life of your old wood fence significantly. It’s easy enough that a total newbie can do it, and it won’t break your bank account. Of course, the best way to have a long-lasting fence is to take preventive steps against rot and weathering when the fence is installed, and if you bought your fence from Rustic Fence, or if you’re planning to buy a replacement, you can rest assured these steps were and will be taken. However, if you want to give that old fence an invigorating makeover, here’s what you need to do. Buy or rent a steam pressure washer, they’re not expensive either way. Then spend a few hours blasting away to remove built-up dirt and mold. You can buy mold remover products from your local hardware store in bottles that attach to the washer. Alternatively, you can use a common weed sprayer to apply a solution of bleach and dishwashing liquid to the fence an hour or so before you clean. Now’s the time to do a complete inspection. Look for loose posts, boards, and rails, and pieces that need replacement due to deterioration. Often a little backfill into post holes and a well-placed wood screw will fix things right up. After allowing your wood fence to dry out for at least a week, you’ll be ready to give it the treatment that will protect it and keep it looking good for the next several years. Staining is a bit better from a protective point of view, as it is absorbed by the wood, more so than paint, and it won’t chip or peel with age, just fade. It is more expensive, though. Paint gives you good protection with a much greater variety of color and is less expensive, but does require a bit more preparation and some periodic maintenance. Either way is fine as long as you understand the pros and cons of each. Your wood fence should be around for many years to come. But if upon inspection you discover that your fence is rotted and damaged beyond the point that restoration is feasible, then say a fond farewell, then it’s time to get a new one. Rustic Fence is your go-to source for fencing of all types in the Dallas/Ft. Worth area. Contact us today for a free estimate and find your new beloved fence.